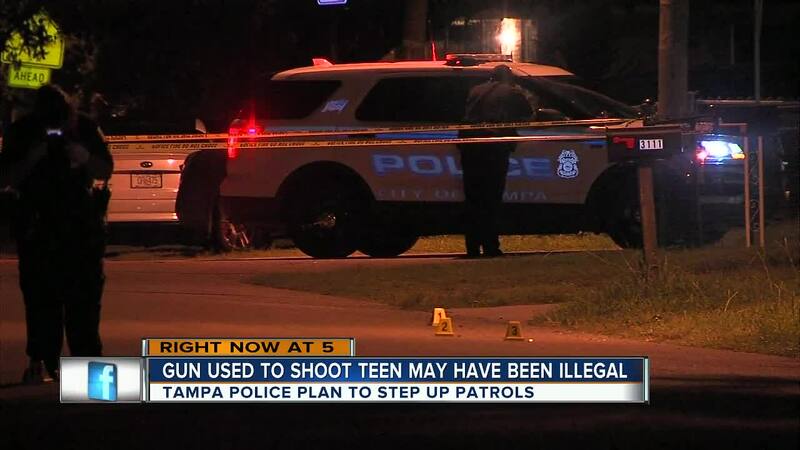 TAMPA, Fla. — Tampa Police say a 14-year-old's condition is "critical" this morning after he was shot Wednesday night. The shooting happened just before midnight on E. Cayuga Street near 31st Street North in the Jackson Heights neighborhood of East Tampa, near Potter Elementary School. Tampa Police tell ABC Action News that the boy, 14-year-old De'Nico Thomas was walking home at the time of the shooting. They believe he had left a friends house where he was playing video games before he left. They say he sent a text to his grandma telling her he was on his way. A witness tells officers that they saw a white or light-colored sedan, possibly a Lexus, drove off after the shooting, headed eastbound on Cayuga. When officers arrived at the scene of the shooting, they found the teen with a gunshot wound to his left abdomen, and they immediately began providing first aid. Paramedics then rushed the boy to Tampa General Hospital. 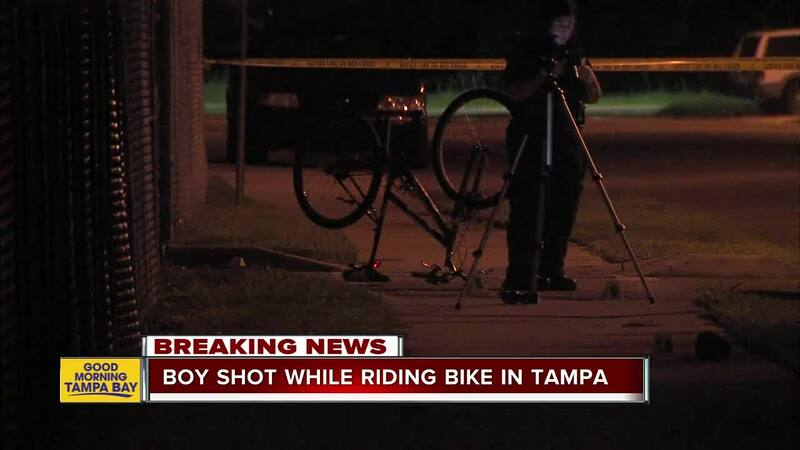 Meanwhile, Tampa Police had a forensics team out at the scene of the shooting Thursday morning collecting evidence, including shell casings, and the boy's bike. Police do not have any suspects at this time. They also do not know the potential motive. 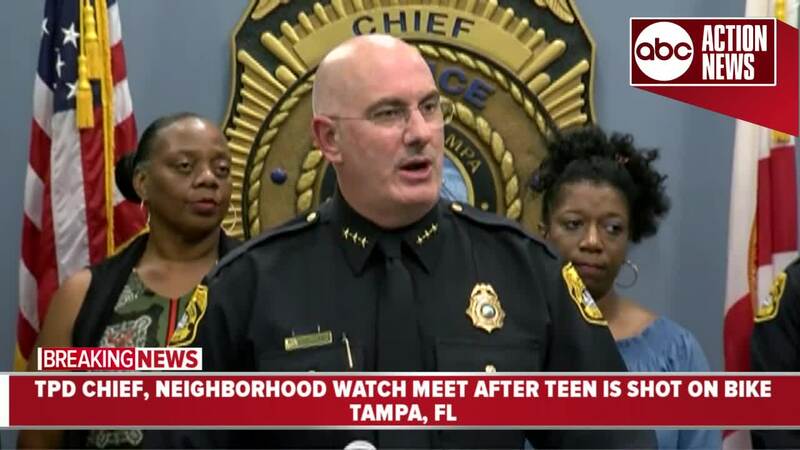 “We need the community’s help to solve this crime,” Tampa Police Chief Brian Dugan said during a press conference on Friday. “He was not a bad kid. He did have challenges but the concern is if he lives, what’s the next step for him? What’s the next step for his friends? Is there going to be retaliation? Are he and his friends still in danger?" Regina Virgil, the coordinator for the East Hillsborough Heights neighborhood crime watch, says she understands some people may have a distrust for police officers, but suggests they get to know the officers and build a relationship so they can put an end to these types of senseless crimes. “If you know anything, you can call me and tell me, I’ll tell the Tampa Police Department. Keeping our neighbors safe and our neighborhood safe for the summer, for the kids so they can play in a safe environment,” she said.